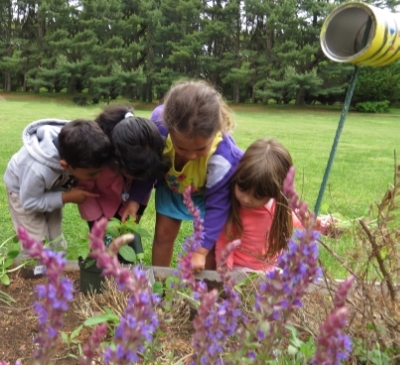 The core values of The Wardlaw + Hartridge School permeate every early childhood classroom. Children learn to respect the rights, feelings and property of others, to show compassion and empathy, and to experience joy and celebrate accomplishments. We are fortunate to have a diverse community of families in the Early Childhood program which allows all children to experience a range of different cultures, appearances, languages and ways of life in a positive, affirming environment. The Early Childhood Program at Wardlaw + Hartridge helps children gain an appreciation and respect for the differences between and similarities among us. Each child comes to our community with unique experiences and an individual perspective on the world. At The Wardlaw + Hartridge School we believe that early experiences with diverse communities and friends promote a global perspective to our curriculum and will ultimately guide our students to lead and succeed in a world of global interconnection. An emphasis on community permeates the Early Childhood curriculum. Great value is placed upon building strong communities within each classroom, where children learn to work and play together.